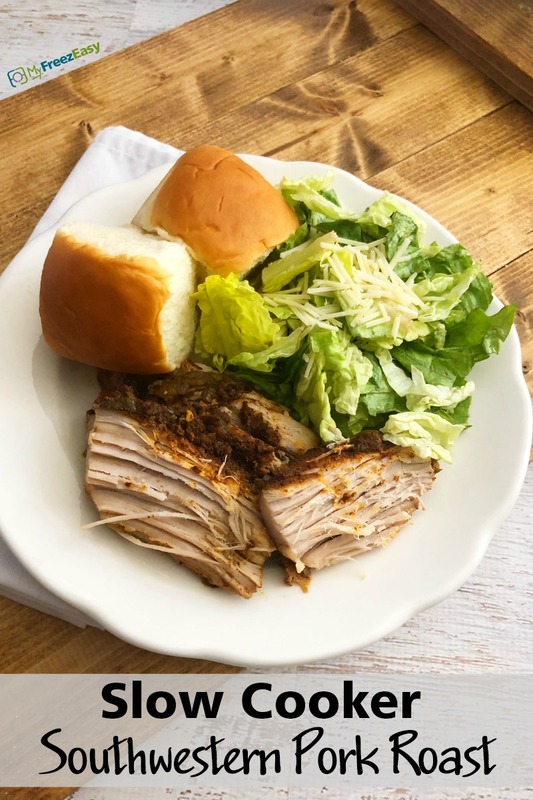 The spices and green chile bring out a great flavor in this pork! Great by itself, but would be delicious in a taco or sandwich too! In a small mixing bowl, combine the brown sugar, minced onion, chili powder and ground cumin. Place the pork roast in the base of the slow cooker and season with salt and pepper. Then add the spice mixture directly onto the pork. Top with cans of green chilies onto the pork roast. Please note: if your slow cooker “runs hot,” you might want to add 1/2 to 3/4 cup of water to keep the roast from drying out. 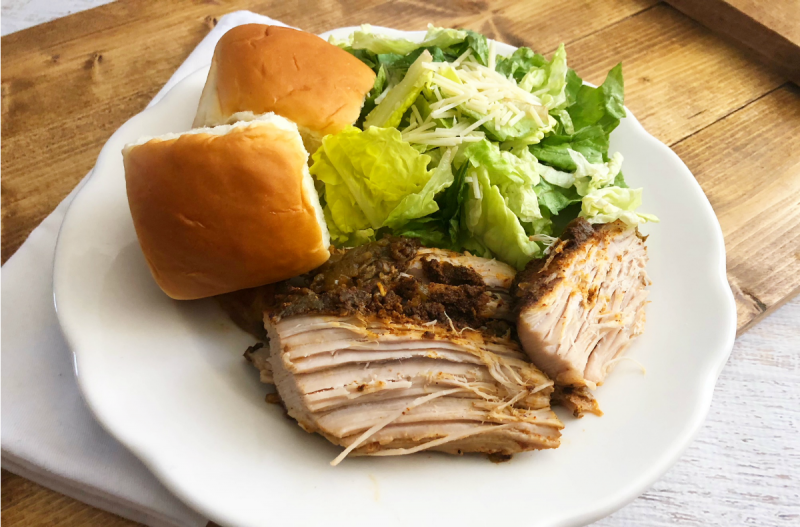 Serve Slow Cooker Southwestern Pork Roast with dinner rolls and salad. In a small mixing bowl, combine 4 Tbsp brown sugar, 4 Tbsp minced onion, 2 Tbsp chili powder and 2 Tbsp ground cumin. Open 4 cans of green chilies.